The principle objective of this reports is to analysis General Banking Activity of National Credit and Commerce Bank Limited. General objectives of this reports are to present an overview and brief introduction of NCCBL, to know about General Banking, to learn about the procedure of handling Inward & Outward Remittances by NCCBL, to be acquainted with day to day functioning of service oriented Banking business, to review how NCC Bank perform their activities and to examine the role played by NCC Bank in the economy of Bangladesh. To present an overview and brief introduction of NCCBL. To know about General Banking. To review how NCC Bank perform their activities. To examine the role played by NCC Bank in the economy of Bangladesh. To know about all these activities we have focused to a private commercial bank that “National Credit & Commerce Bank Ltd.”. From there we collect all required information that will help us to acquired knowledge about its products and services. Reaching program of economic reform is being carried out at present towards efficient utilization of scarce resources and the development of private the present day bank structure has evolved over several decades. The far entrepreneurship. In the ever changing business environment, financial intermediaries are gradually guided by market forces and regulation. Competition is strengthened by the entry of new and innovative providers of financial services through the development of Money Market and Capital Market. Under the ongoing financial liberalization program, The NCC Bank Limited emerges as a fast growing, leading and prominent bank in the private sector to operate on the commercial arena of Bangladesh. The NCC Bank Limited has already occupied a challenging position among its competitors after achieving success in all areas c business operation. This is catering both the Conventional and Islamic mode of interests. It offers all kind of Commercial Corporate and Personal Banking services covering almost all segments of the society. To serve the customers through capacity building across multi delivery channel is one of the main strategies of the NCC Bank Limited. The bank gradually is increasing the number of branches, for coming nearer to its customer by providing various convenient services. Thus, in the local market the operation of the ‘NCC Bank Limited is highly appreciated for its customer oriented focus. The institution started its function back in 1985 as an investment Company in the name of National Credit Limited (NCL) with a Paid-up capital of Tk.50 million only. NCL performed well for near about 7 years. The core objective of the company was to play a catalyst role in the Capital Market of the country by way of participating in security trading, underwriting etc. However in 1992 in the backdrop of closure of BCCI and BCI. This investment company, NCL faced a severe setback in respect of business. With active initiative taken by the members of the Board and the Management team. The company could overcome the problem and get it converted into a full-fledged Commercial bank on 17-05-1993. After obtaining license from Bangladesh Bank as National Credit and Commerce Bank Limited (NCCBL) re-flexing the Authorized Capital at Tk.750 million and Paid up Capital at Tk.390 million of which Tk. 195 million was subscribed by the sponsors at that time. Authorized Capital: The authorized capital of the bank at present remained at tk.2, 500.00 million. Paid up capital: Tk. 1,352.12 million. Reserve fund & other fund: Reserve fund increased to tk.1995.36 million. Performance of the Bank: Despite various setbacks in economy, Bank’s performance may be termed as satisfactory in respect of deposit mobilization and profit earning. At the end of the year 2007, Bank’s operating profit stood at tk. 178.02 crore. Deposit: As December, 31, 2007, Bank’s total Deposit stood at tk.34901.77 million. Credit: During the year total Advanced stood at tk.32, 687.75 million. Deposit advanced ratio was 94% in 2007.
Credit Administration: The rate of classified loans during the year was 4.17%. Investment: Investment figure of the Bank as on 31st December, 2007 stood at tk.6, 266.62 million. Foreign Exchange Business: During 2007, the Bank handled Export and Import Business to the tune of tk.9, 577.92 million and tk.28, 779.21 million respectively. Remittance Business: Total amount received NCCBL in 2007 was more than BDT. 7, 44.50 million. Treasury: through effective fund management, the Bank could earn tk. 28,260.00 million during the year 2007 through dealing broom operation. Capital Market Operation: The Bank has a separate Brokerage House established with a view to facilitating the investors to operate in capital market in a hassle free atmosphere. Its success inspired the Bank to open new work station at Uttara and Dhanmondi in 2007, & Dilkusha. Operational Result: The operational profit of the Bank during 2007 was tk. 1780.24.
Dividend: In the line of proposed appropriation of profit, the Board of Directors has been pleased to recommended 30% Bonus Share (Stock Dividend) for its valued shareholders for the year 2007 and for consideration of approval shareholder. To value and respect the customers and maintain harmonious banker- customer relationship. To contribute towards the formation of national capital. To achieve and sustain in the domestic leading market position in both customer and corporate banking sector. To be the most efficient bank in terms of technology application. Short-term deposits accounts are special notice account, which are kept under short term deposit ledger. The rate of interest on STD is subject to change from time to lime. Any With drawls from this account require seven-day prior notice. The relationship between banker and his customer begins with the opening of an account. Initially all the accounts are opened with a deposit of money by the customer and hence these accounts are called deposit accounts. Fixed deposit accounts are repayable after the expiry of the predetermined period fixed by the customer. The period of the FDR ranges from three months to one year. Longer the period, the rate of’ interest is higher. Amount of FDR is payable once a time. If the client does not withdraw the amount and give’ further instructions for renewal within one month from the date of maturity, then the FDR account would get renewed for a further three months and the rate of interest would prevailing rote for fixed deposit. maintain cash reserve against these deposits. The depositor has to fill in an application form wherein he mentions the amount of deposit. The period for which deposit is to be made and the name in which the fixed deposit receipt is to be issued. In case of a deposit in joint names, the banker also takes the instructions regarding payment of money on maturity of deposit. The banker also takes the specimen signatures of the depositor(s). A FDR is then issued to the depositor acknowledging receipt of the sum of money mentioned therein. It also contains the rate of interest and the date on which the deposit will fall due for payment. Depending on clients requirement whether they want pay order, cash or cheque banker will prepare a voucher. Payment on before maturity: It may be happened that a client who has a three months basis FDR for one year, wants to close his/her FDR in 7th month. In this situation client will get 6 months interest from his deposited amount. The deposit is renewed with effect from date on which it matured for payment. The rate of interest allowed for such period does not exceed the rate of interest applicable to the period for which deposit has been renewed. First he/she will do G.D in the police station. Write an application to the bank to inform it. If the banker doesn’t find any discrepancy then a duplicate copy of the FDR will be given to the FDR holder. FDR holder will also sign in a bond where it is written that if s/he fined their FDR receipt later they can’t claim for it. It is similar to Current account. Main difference between CD account and STD is STD a/c holder doesn’t get any interest on below 10 lac taka and get 4% interest over 10 lac or above amount in a daily basis. It is another kind of deposit account. Here verification is less important as it is highly emphasized in FDR. Bank is bound to give money, which will carry the BCD block. Interest of BCD is calculated when a person deposit the money or at the beginning. (Principal * 100)/(100 + Rate of interest)=(1,00,000 * 100)/(100 + 8.50%)= 92,165.89 Client will give Tk. 92,165.89 to the bank and after one year bank will return Tk. 1,00,000. A SSS customer has to deposit fixed amount of money each month for a definite period of time, normally for 5 to 10 years. The depositor(s) will get following amount after maturity of SSS account. The amount which is payable on demand is called demand deposit account. The customer may inform the banker in writing of his intention to close the account. The banker cannot ask for his reasons of such closure. It should immediately ask the customer to return the unused cheques and close the account. The banker may itself ask the customer to close his account when the banker finds that the account has not been operated for a long time. A notice to that effect can be given to the customer. In case the customer does not come forward to close the account in spite of getting notice for closure of account from the banker, the banker should give a second notice to him stating it clearly that in case he himself does not close his account by a specific date the banker himself will close that account. In case the customer does not close the account by the specified date, the banker should by a draft send to him the money lying in his account. In the following cases, the banker should suspend all payments from the customer’s account till the matters are finally settled. When the banker receives notices of customer’s death or insanity. When the customer becomes insolvent or in case of a company, it goes into liquidation. In such cases the money standing to the credit of the customer will be transferred to the official received or the official liquidator as the case may be. When the banker receives a garnishee order (A court order attaching the belonging to the judgment debtor in the hands of the third party. The garnishee upon whom the order is served holds the assets of the judgment debtor until legal proceedings determine who is entitled to the property. The order is effective from the moment it is served). When the banker receives notice from the customer regarding assignment of the balance standing to the credit of his account by him to a third party. The banker is such a case is bound to pay the money to the third party. There are no promotional activities about this product. Any company or individuals may want to know their balance. For that they have to provide their account no and staring and ending date of transaction they want to know. The procedure is they will write this information to the register khata and receive the computer printed statement by giving signature. Local offices branch of NCC Bank receives different types of instruments, such as cheque, PO, DD etc. from its customers for collection. It also pays on behalf of its customers for those instruments that come to it through clearinghouse. When instruments of NCC Bank are sent for collection or received for payment through clearing house it is called Inter Bank Clearance or IBC. These are treated in a little different manner than instruments of other Banks. When the cheques are presented to a Bank by the other Banks for collection of fund and to credit that into the party’s account, the instrument must be cleared though Bangladesh Bank clearing house. A receiving officer, receiver check by a deposit slips over the counter. When instruments are sent to the Bank via clearinghouse, it entered into the clearing register. The officer checks the instruments thoroughly before it is sent to the computer section for posting. If any kind of error is found in any instrument it is dishonored and sent back with appropriate reason for doing so. Instruments are also dishonored or insufficiency of fund. The information is then sent back to the clearinghouse for taking appropriate action. The instruments drawn on NCC Bank are received from other Banks in the clearinghouse. The amount and numbers of instrument received are entered in the house from the main schedule of respective Banks. The instruments with schedules are arranged branch wise. The instrument sent to branches concerned for clearance. After filling the deposit in slip bearer of the instrument deposits the instrument to the respected officer. Upon receiving the instrument the respected officer checks the essential features of the instrument and whether the deposit in slip is filled accordingly or not. Then s/he crosses the instrument with a seal containing Banks and branch’s name, signs the deposit in slip and provides the customer with counter foil of the slip. Then both the instrument and slip is sealed with ‘CLEARING’ seal and date seal contain the date of clearing. An endorsement seal is also sealed on the back of the instrument and the officer endorses it on behalf of NCC Bank Motijheel Main Branch. It is then given entry in the clearing out register mentioning the name of the Bank and branch of it, amount of money in deposit in slip, amount of money in the instrument, number of the instrument and date of it. Then the officer separates the instrument from the deposit in slip. Deposit in slip is kept in the Bank and the instrument is sent for clearing. Clearing returns (outward) include those cheques that were presented to bank by other banks but we have to return them unpaid to the collecting banks due to various reasons. Clearing returns (inward) consists of those instruments which were presented by bank to other banks for payment but have been returned and unpaid by them due to specified reason through the clearing house. Remittance is the best mediums to transfer funds from one place to another. This function eliminates the individual difficulties and the hazards in transformation of physica1 cash from one place to another. Pay order is a document of money. It would be released from that bank where it is issued a P.O. request may come for different purpose such as from any department, normal cash remittance etc. Requirements for P.O. : For issuing a P.O. issuer must have an account in the branch of the bank. Client has to fill up the P.O. application form which requires the information as to whom it is done, purpose, amount of money, applicant’s signature, address and account no. Bank will charge commission and VAT for issuing a P.O. They will prepare P.O. block, client will keep two parts with them as the evidence of money. Another part will be kept by the bank with signature of the issuer. Releasing procedure: P.O. may come in different form through OBC or clearing house. When payee receives the P.O. they will put a seal where it is written that “Payee’s A/C will be credited on realization”. When issuer bank of P.O. receive it they will put a stamp of Tk. 4/- back to the P.O. block. They will put a “Purchase account credited” seal and take the signature of the issuer. Some time it may happened that issuer cannot release their P.O. then on behalf of them bank do it and charge Tk. 30/- as cancellation charge. If the draft is not crossed, the payee can draw amount in cash upon presentation of the same to the drawer branch with satisfactory evidence of his identity or can draw the money by depositing it to his account there or any other banker. The purchaser is required to return the DD together with the letter of cancellation. No other person can request for canceling a DD. The banker must compare the signature of the letter of cancellation with the signature on the DD application form to ascertain the genuineness of the purchaser. The banker must also make sure that the DD returned does not have any endorsement. The DD was issued by him and is not a fake one and a duplicate DD has not already been issued against thereof. Observing all the formalities, the issuing branch will cancel the DD and refund the amount to the purchaser either in cash or through an account. The exchange amount recovered from the purchaser while issuing a DD is never refunded during cancellation. Rather an additional amount (Tk.30/-) is further recovered as cancel1ation charge. While canceling a DD the banker must write the word “cancelled” on the DD along with the date of cancellation and the signature of the issuing official on the DD are not destroyed. A client can transfer their money through TT. It is the faster way to transferring money. Accounting entry: Suppose a client in Laxmipur Br. Wants to transfer money to Motijheel Branch. Bank will charge commission (Total amount @ 10%), VAT (Commission @ 15%), telephone charge (fixed Tk. 30/-) and test number (it is a security code). Bank will give a memo to the client as an evidence of TT. Bank will receive U information through telephone and verify test number. In a Non Judicial stamp paper party will bond that if s/he find previous document they can’t claim for the money. Then a duplicate copy of the P.O. or DD will be given to the P.O. or DD holder. NCCBL endorses US$ in passport. To endorse US dollar, the client has to apply in application form. The buyers of T.C. need not to be a client of NCCBL. The buyer has to deposit money with the branch of NCCBL equivalent to the amount of the T.C. he wants to buy. T.C. is issued in single name. It is not issued in joint names or name of clubs, societies or companies. There is no expiry period for the T.C. It is the new concept of transferring foreign remittance to Bangladesh. One person residing in the abroad can remit his money through the process of money gram. There are more that 22,000 money gram agents in over 100 countries are linked worldwide.. For such transaction client doesn’t have to maintain any account in NCCBL. They will only take Tk. 0.07/$ as a commission. Faster: When a person transfers money through money gram service his money gets there fast, usually in 10 minutes or less. Other services often take day or even weeks. Convenient: There are more than 22,000 money gram agents over 100 countries. Therefore, a person can easily transfer his fund. Secured: People use the money gram service thousands of time a day all over the world. It is a trusted guaranteed and reliable thoroughly personal way to transfer money. Easy: Just one simple form and computerized money transfer network will speed a person’s funds to destination throughout the world quickly. Sender gets receipt and notifies recipients of the transaction reference number. Recipients go to the money gram agent (NCCBL) in Bangladesh, fill the “Receive form” to request funds and shows proper identification. Receiving agents contract the money gram transaction center (Head office on NCCBL) to obtain authorization to pay recipient. Eventually receiver will get the money. Well reputed in the Market. Every year the Bank appraises their employees. The employees are satisfied with their work place. Present job appraisal system doesn’t help to improve communication between workers and executives. Absence of attractive remuneration package and motivation for the employee & Worker. Availability of mismanagement practices &Employee Conflict. In Developing Country like Bangladesh banking service would be the only source to get financing. The customer of the bank can diversify their portfolio by introducing new sectors. NCCBL recently introduce on-line Banking so that the honorable customer can deposit and withdrawal money from the branch. The Bank can increase their profit by introducing new sectors like leasing, one point services, Tele-Banking, Credit Card, Money gram, SWIFT etc. The most important threats of the company are coming from the competitors. The company has a chance to lose its market share to the competitors if it does not take necessary action. The size of the market and the present state of economic activity did not provide adequate scope for business for a large number of banks with poor management and outdated operating systems. The competitors may come with innovate ideas which is difficult to adapt. pressures to reduce interest rate. The NCCBL has online banking system for providing better service to the customers. But, the online bank is not implied in all the branch of NCCBL. Mainly, busy cities’ branches (cities like- Dhaka, Chittagong) have that kind of facilities. Having manual and online banking at the same time, the bank sometime find some problem to do their inter branch activities. To do the online banking, NCCBL use FLORA banking software to run a banking operation. This software has lot of option to do, but still it has some lacking. To this system, only limited use can login at a same time. So, all the employees of the bank can not work with this software at a time, and some time it becomes slow to take the entry. And some statement can not be provided by this software which other bank’s system can do, such as the FLORA is not able to provide the statement of Fixed Deposit Scheme. Only a few officers know, entirely, how to operate the FLORA (online banking software of NCCBL). Most of the officers only know the some portion of the software, which they use to work. Currently, one of the most profitable products for NCCBL is Money Gram, which is used to send foreign remittance. Money Gram is less charge and time than the Union Money Transfer and other money transfer agent, which normally attract the growing market of foreign remittance. At the some time, the bank is providing the service Money Express, UK money speed. The NCCBL is using SWIFT (Society for Worldwide Inter Bank Financial Telecommunication) to provide better service for the customer of foreign trade and exchange. This allows doing many businesses with the foreign market. And it always gives change to the bank to update the foreign financial currency and market information regularly. The accountability is working in the NCCBL. Every day they have finished their transaction and if there is any miss match, the employees have to explain it and even have to pay for it. So the condition of transparency is good here. This job use to do the Accounts and Administration Department. The NCCBL has a training institute to build a better work force. When a provisional officer joint the bank, the bank arrange some training course associate with Bangladesh Institute of Bank Management to improve the officer’s skill. The bank had introduced its ATM card to the market and it has only a few ATM Booths right now. Inefficiency of the management decision makes the scope of the ATM limited. NCCBL has introduced the Visa Card to the market in 2005. It gives the customer access to the local and foreign market. NCCBL provide this service with comparatively low interest rate and charge. The NCCBL is showing their growth by increasing the number of branch. In 2000, it had 27 branches. The management of the bank able to find of the need of the client mainly the middle class business owner. Though the strategy of bank is conservation, by selecting the right target group the bank has increase growth of their market. Currently they have 48 branches all over the country. Being a fresh Graduate, this will be my audacity to suggest on the performance and actions of the Bank and on the experienced professional bankers. The bellow issues are some of my observations based on my education prevailing circumstances comparing to other banks and sometimes on the customer’s point of view. Although the approach of NCCBL is proactive in finding good customers but their advertising are limited. Still there are a lot of good small enterprises companies that are in good ground in their respective field of operations- ‘This seems to be conservative to me and will not be much helpful for small entrepreneurs, who are not well known at his moment. I think that NCCBL should change their approach so that small entrepreneurs and businessmen can get their services without many hassles. 24 hours banking facilities like ATM facilities should be introduced to become more competitive with the market as all other Banks already introducing. Bank should introduce new short-term schemes like micro-credit for the poor and small Entrepreneurs. Our Bangladesh is a poor country so most of the people has got no enough money to start new own venture. Through the expansion of small business opportunity country can grow. Small business are very easy to handle and manage and also less risky for the Investment as a Banker. More-over these kinds of customers are much more loyal and honest to the Bank. Grameen Bank is the best example for this. Vast business opportunity lies in this area. NCCBL management should think how o explore this opportunity. Bank should use job rotation to remove job monotony among the officers which will increase their efficiency as well. The bank should offer incentive scheme for the good customers. All business venture are public undertakings and for the peoples well being. So, the Bank should get them more involved with Social issues which will certainly Increase their brand image besides the well being of the society. 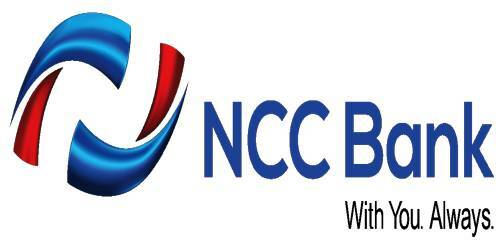 NCC Bank Ltd. should focuses on their promotional activities on its marketable Products. They should also focus on the marketing aspects by informing the customers about its products and offering services charges. While go through the different reports it’s found that. Authorized and paid up capital, reserve fund, Savings, Loans and advances. Loan Management, investment foreign trade, treasury activities, capital market activities, no. of Branches! Dividend Good corporate governance, compliance of the regulations provided by Security and Exchange commission etc. are moving towards a highly positive trend at the satisfactory level. The Bank is run by a group of professionals who are well organized and committed to the bank. Now it is gradually moving towards automation and which will not allow any sort of discrepancies. Bank now aggressively looking and establishing Foreign partners at abroad, to make easier and shorter the time for the remit of NRB. All the above implies that they are successful in gaining the trust of the people and business entities of our country.